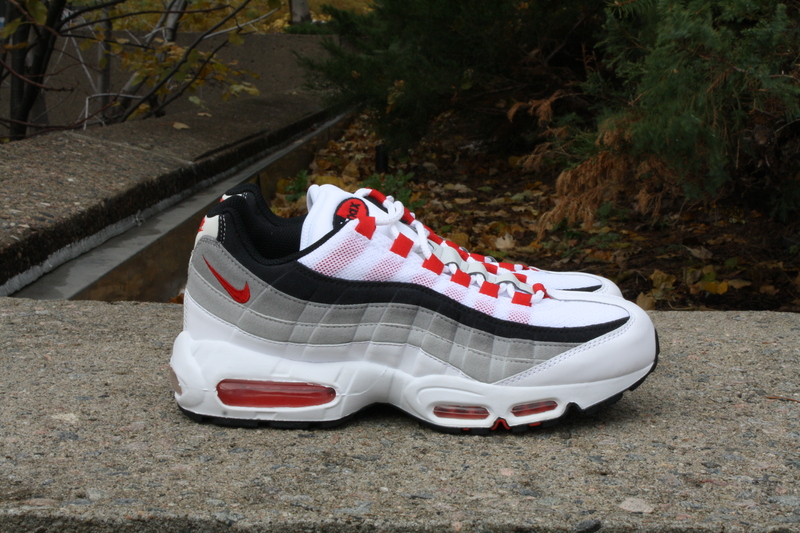 There is a handful of words that make absolute sense when said after the iconic words “Nike Air Max”. 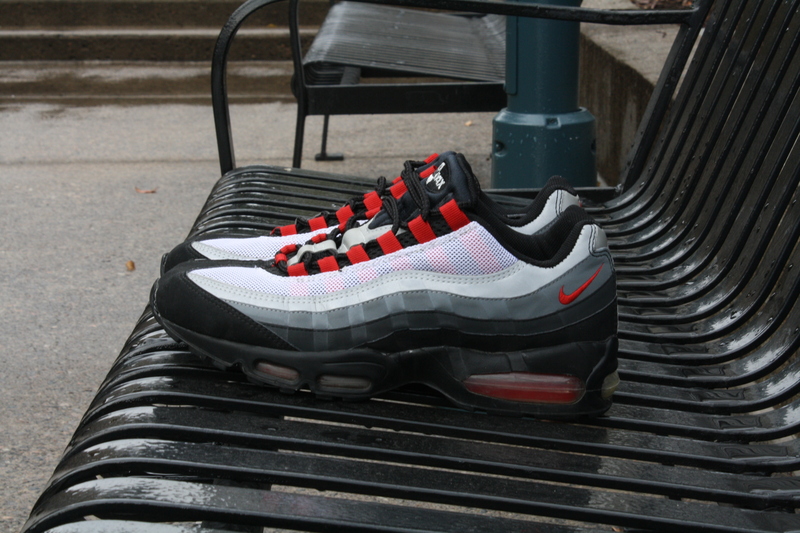 Among them, the number 95 has taken its place among the staples in Nike Sportswear lore. Its 25 psi reading found at the bottom of the Air Bubble strikes an impacting image when we think of the history of Air. 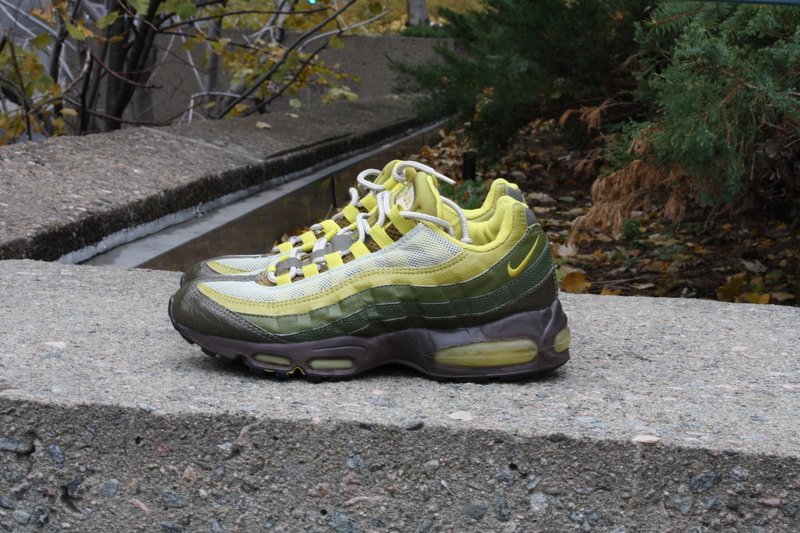 We caught up with your fellow Canadian shoe collector that goes by the Instagram name @NikeAirMax95 to find out why the AM95 is an important piece to any sneaker enthusiast. TBA: How long have you been collecting? 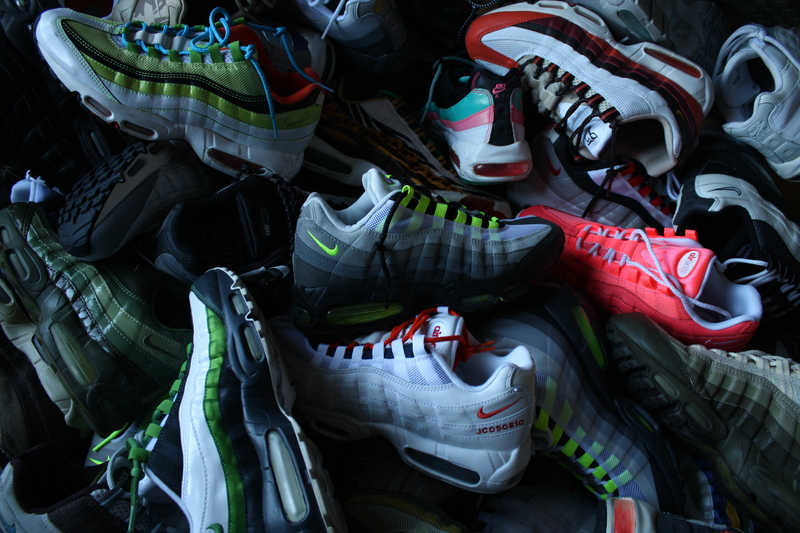 TBA: How many Air Max 95 do you actually own? TBA: What’s the current focus of your collection? TBA: Tell us about how you became a fan of sneakers and eventually began to collect Jordans and Air Maxes in particular. NAM95: It all started with my older cousins Gary and jazz. Gary always had shelves full of Jordan’s and air forces. And jazz had runners. I always said to myself one day I’ll have a bit of both. I kinda went overboard. 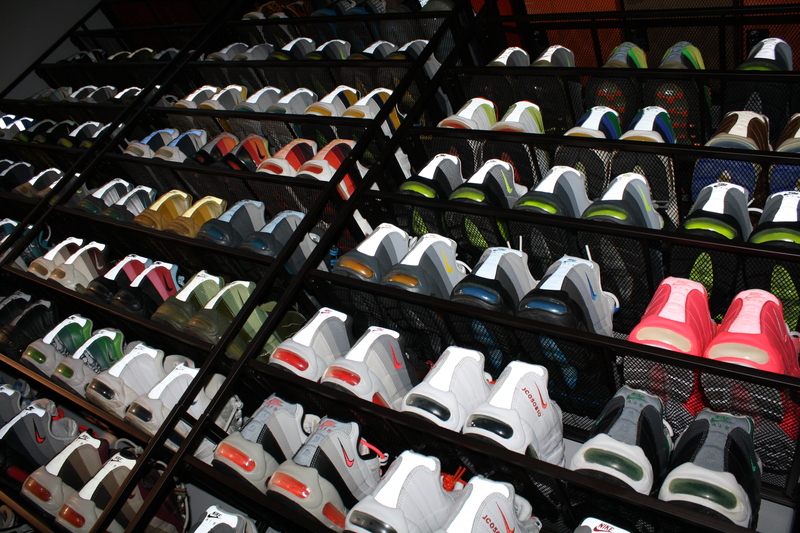 TBA: What’s the most prized sneaker in your possession and what’s the story behind them? NAM95: It’s my first pair of 95s. Comets. A birthday gift from my parents. My First pair of shoes which I got that were NOT on sale. TBA: Favorite overall model of all time? Why? 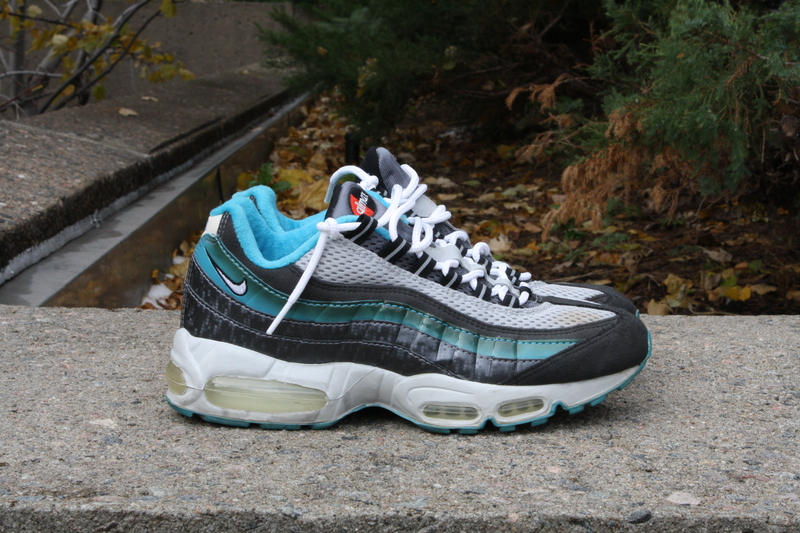 NAM95: AM95. I love the shape. How the material overlaps. The bubbles. 3 m Rope laces. The tongue’s tied down. How it makes me taller. Lol. 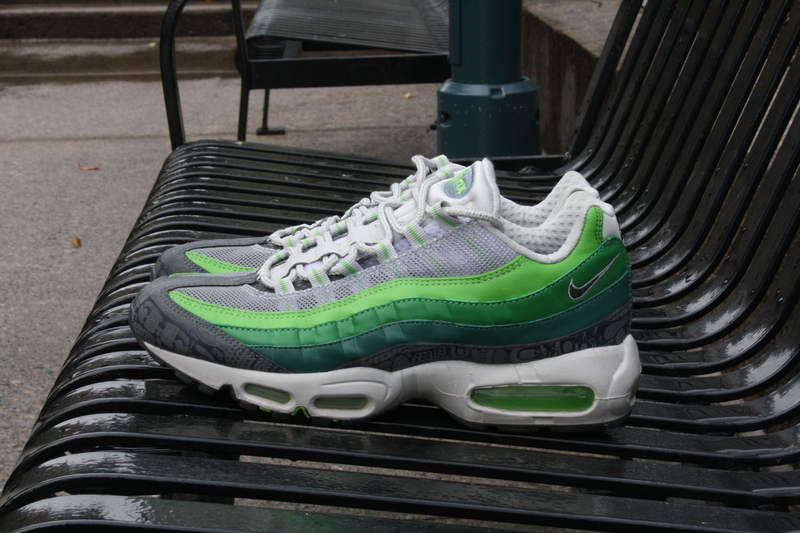 TBA: Rank the top 3 Air Max lines. TBA: Which aspect of the shoe is most important when you are deciding to pickup or not? NAM95: I just ask myself am I going to wear you more than 5 times. I’m crazy. TBA: Have you had any difficulties hunting down a pair? If so, which shoe has eluded you? NAM95: Yeah. 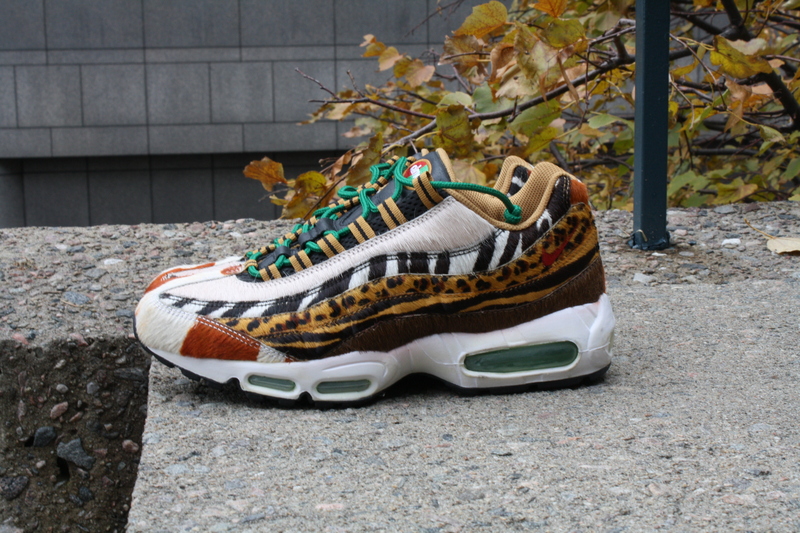 I’ve been looking for a pair of mita x nike am 95 “prototype”. Just haven’t come by a pair at a decent price. It’ll happen one day. TBA: The variety in your collection is impressive. Has your collecting style changed over the years? NAM95: Yes it has changed a lot. For a very long period of time I was strictly am95 and jordan. Nothing else. Now I’m very selective when it come to jordans. And as for 95s. I’m not feeling all those no sew or tape or em versions. I’m hunting old 95 which I never got. And buying other brands of runners like nb and asics. 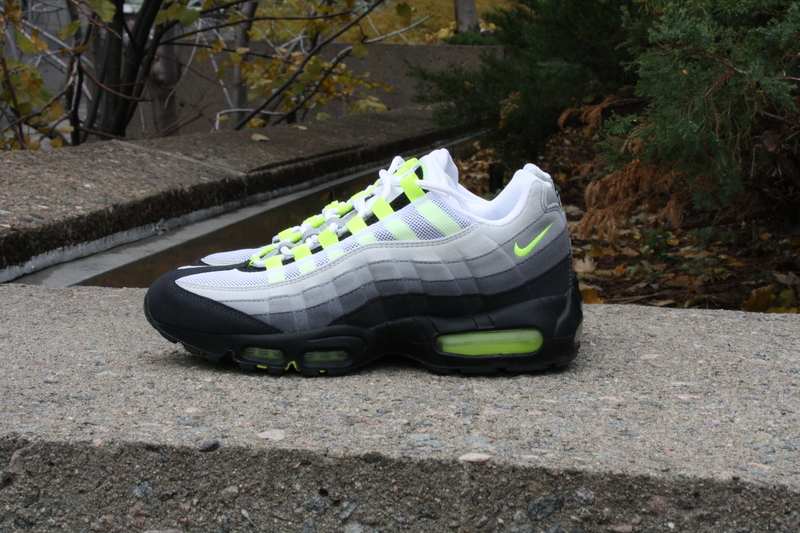 TBA: What go you started on the Air Max 95? NAM95: I wanted a pair of runners cause everyone was rocking basketball shoes. Once I got em I loved them and just stuck to them. NAM95: The bubbles. The way all the material flows together and the 3M accents. TBA: Anything else you’d like to share with our readers? NAM95: To all the people getting into the shoegame it’s a passion not a competition. There’s no status to attain. Shoutout to all the positive people in the sneaker community.